Congratulations! You have ran the numbers on what you can realistically afford, saved diligently for a down payment, and have most likely attended enough weekend open houses to realize that you are now ready to call a home your own. Now comes the actual buying part! Even though it is an exciting time in your life, buying your first home can also seem extremely terrifying and overwhelming. As you know, it is one of the biggest decisions when it comes to your money, that you will ever make. During the process you will be getting a whole new language of unfamiliar finance terms that can only add to your stress. That is where we come in! While we can't help you make a decision between a ranch or a townhouse, we can give you the tools that you need to make sure your decision is financially sound, and helping make sure your home buying isn't as intimidating. To cut out some confusion, we have put together a list of eight of the most important home-buying terms and put them each into plain English for you. Consider this your cheat sheet to some of the most common real estate and mortgage lingo. 1. ARM: ARM stands for adjustable rate mortgage. Simply put, it’s a type of home loan where your interest rate will change over time. Most ARMs start off with a short period of a set low interest rate. But after that time is up—typically between three and 10 years—your rate becomes adjustable. That means it’ll reset periodically, based on what’s going on in the market. So if interest rates start sliding, you could be saving money. But the opposite can also happen: If rates rise, your monthly payment could suddenly skyrocket. If you’re the type of person who likes a little more certainty in your life, you probably wouldn’t love an ARM. On the other hand, if you’re not shopping for your forever home and plan to move before the fixed-rate period expires, an ARM could be a good option. 2. Fixed-Rate Mortgage: This type of home loan is a little more old-school than an ARM, and it’s a lot more straightforward. Whereas ARM interest rates go where the market goes, think of a fixed-rate mortgage as a more dependable choice, for better or for worse: You’ll be committed to a single interest rate for the life of the loan. That comes with its pros and cons. For example, if interest rates in the market drop, you’re stuck with your higher rate. (That is, unless you refinance, which can mean some hassle and fees.) Still, if interest rates rise, you won’t have to stress about suddenly having a bigger home payment. 3. Assumable Mortgage: This is a less common type of mortgage (typically for ones administered by the Federal Housing Administration or U.S. Department of Veterans Affairs) where, instead of taking out a new loan, you simply take over the seller’s old mortgage. That may sound like a great deal—doesn’t “pre-owned” always mean savings?—but it’s a little more involved than, say, buying a used car. Plus, say you’re buying the home for $250,000 and the mortgage balance is just $150,000. You’ll still have to find a way to cover that difference, whether that’s coming up with a bigger down payment or taking out a second mortgage. Yes, it’s a lot of cash to suddenly come up with. But in reality, most people never actually plan to pay that big balance at once. Rather, they’ll sell their home before then or simply take out a new loan when the balloon payment comes due. The big advantage? The interest rate for those five or seven years tends to be really low. Here’s the risk, though: There’s no guarantee you’ll be approved for another loan once that big payment is due. For example, say your home’s value has fallen over time, or you’ve weathered a big pay cut at work. That’ll make getting a new mortgage on the fly much harder. 5. Equity: Equity tells you how much of your home you really own. In short, it’s the current market value of your house minus the amount you still owe on the mortgage. For example, let’s say your ranch house is worth $300,000 right now, but you’re still on the hook for $150,000 in mortgage payments. You really only “own” $150,000 of the home. In other words, you have 50% equity. As you keep making those monthly payments, your equity will grow. It can also change as the value of your home goes up (or down). 6. Escrow: “Escrow” can get confusing, because it actually has two different meanings in the real-estate world. 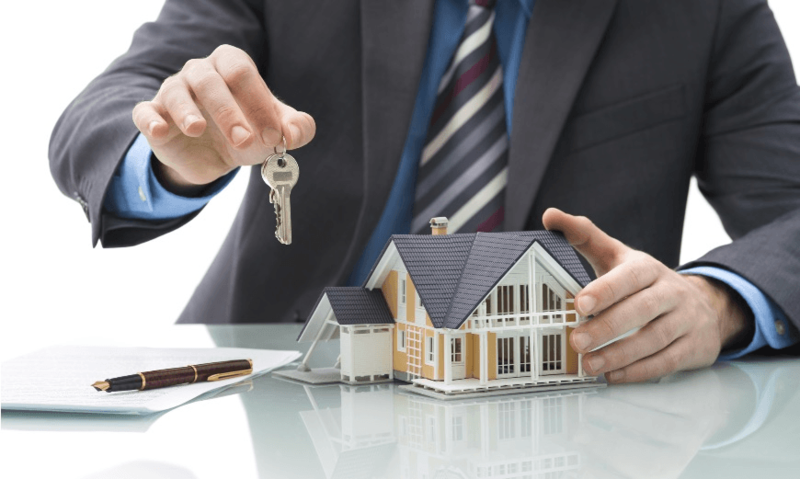 First, after your offer has been accepted on the home, some money will be kept in a separate escrow account until all the conditions of the contract are met. It’s a way to protect both the buyer and seller. For example, as the buyer, you don’t want to hand over any money until you’re sure the home passes inspection. But the seller also wants some kind of assurance that you’ll actually pay before they take the home off the market. So an escrow agent comes in as the referee. They hold a certain amount of cash from the buyer in this escrow account, along with documents from the seller, like the deed to the house. Once the contract is signed, all the assets are handed out. But escrow account takes on a second meaning when you become a homeowner. Because your mortgage lender wants to make sure you actually pay your property tax and homeowner’s insurance, they collect extra money from you every month and hold it in an “escrow account.” They’ll then use that money to pay those annual expenses for you—and you can both worry less knowing there is money set aside to pay those important bills. 7. Earnest Money: Earnest money is a way to show a seller that you’re serious about wanting to buy their property. After all, before starting a contract, sellers want to be sure that you’re ready to put a ring on it—and that you’re not just throwing out offers at every open house you attend. So to show them how “earnest” you really are, you deposit a set amount of money into an escrow account (yep, that term again) with your offer. It’s typically 1% to 3% of the purchase price. If all goes well and the home is yours, that cash can go toward your down payment. On the other hand, if you get cold feet and back out, the seller has an opportunity to pocket that money. 8. Private Mortgage Insurance: Private mortgage insurance, aka PMI, is a type of insurance policy you’ll have to take out if your down payment is less than 20%. If you can’t come up with 20%, the mortgage lender views you as a financial risk. So to protect themselves, they make you pay for PMI until you’ve built up a little more than 20% equity in your house. That way, if you end up defaulting, the lender will still get paid via the insurance. Not only is PMI an extra bill you’ll have to cover every month, but unlike most insurance policies you pay for, your PMI doesn’t protect you—only the lender will be covered if you default. So, we recommend you always try to save up at least 20% for a home down payment—so you can avoid having to pay that PMI.